On June 21, the board voted 4-0 (with John Salazar absent) to approve the 2018-2019 budget, which anticipates a $3.7 million deficit. Deficits of $5.3 million and $1.9 million have now been projected for 2019-2020 and 2020-2021. The current year will end $8.3 million in the red. The district’s combined reserve, currently standing at 10.7 percent, is expected to drop to 3.1 percent by 2020-2021. Just two years ago, the rate was close to 20 percent. Despite the troubling fiscal picture, there was very little discussion among board members or staff about how to protect the district’s financial assets moving forward. The personnel costs for the district — with the highest teacher salaries in the county and steep administrative salaries as well — appear to be surpassing the district’s ability to finance them. Muir also expressed exasperation at the board meeting that she’d been attempting to reach Tina Douglas, the associate superintendent of business services, on the topic for two months to no avail. Douglas replied that the costs for the safety measures would have to be figured out in time as they got rolled out in phases. No one seconded Muir’s motion. Douglas and Chief Financial Officer Delores Perley did not respond to The Coast News’ requests for information about the budget. Wolf was not deterred and wrote back to the district expressing her rights by law to the information. The student, whose identity is protected here due to privacy concerns surrounding expulsion and minors, spoke during public comment at the board meeting. He said his continued exclusion from school “deeply harms my reputation.” Nonetheless, he offered — as he had before in public comment — to speak at district schools about what he had done so that other students could learn from his mistake. The student announced a fundraiser he was participating in to raise money to teach children how to swim as a safeguard against drowning, a leading cause of accidental death for children. Superintendent Eric Dill’s resignation on May 25 left the district without much time to hire a permanent replacement before the next school year begins. The hired search firm, Hazard, Young, Attea, and Associates, estimates that it will take until October to instate a new long-term superintendent. Dill’s contract does not contain any language about what the financial or other consequences would be if that interview clause were violated. As such, it’s unclear what recourse, if any, the board has. When asked about it, Hergesheimer emailed, “It is always unsettling when a district administrator gives notice … and I am sad to see Mr. Dill go. The language you refer to was not in any prior superintendent’s contract, and I do not believe that there is any other district language regarding this topic. Mr. Dill did give our district over a month’s notice that he was leaving.” Her email, however, did not address whether Dill had given notice that he was interviewing. Perondi was approached about taking the temporary helm of San Dieguito and accepted after discussing the position with his family. “The work will keep me current and allow me to assist the district with the skills I’ve developed over the years,” he explained. 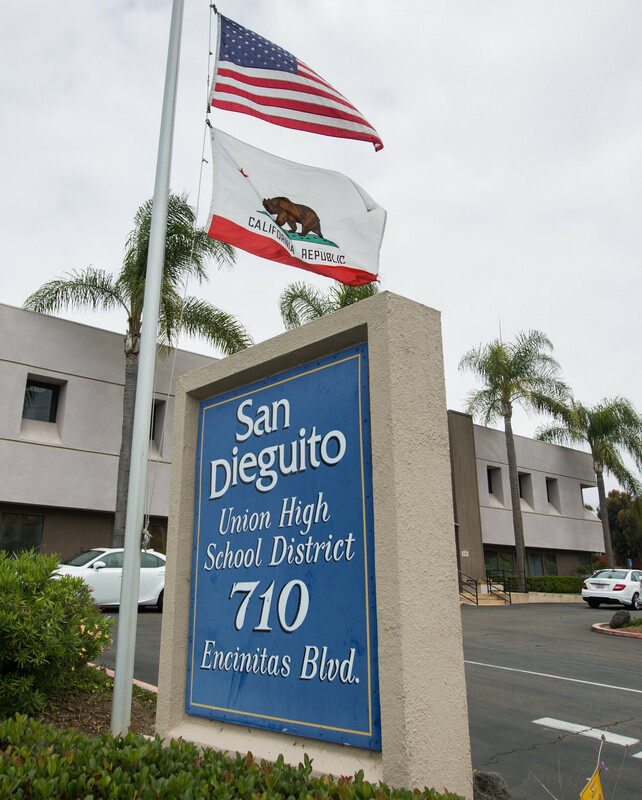 Perondi has no interest in assuming a permanent superintendent role at San Dieguito. He joked that when it was over he’d put on shorts and a T-shirt and return to a more relaxed pace. These are just some of the many reasons why Joyce Dalessandro is being recalled. As Trustee she is there to advocate for students and parents of student (i.e. the voters who elected her). She instead advocates for the Teacher’s Union. The same union that donated $20K to seeing she got elected. Note when Trustee Maureen Muir requested budget for the Student Safety and Security fencing, video monitoring etc…she could NOT even get a second. But at the April Board meeting….Joyce had no problem voting for a proclamation against guns. Seriously, I’m not making this up. Joyce was forceful in her desire to send the anti gun proclamation to Sacramento and Washington DC. Does Joyce think words going to stop or slow down bullets being sprayed on an open campus like TPHS or SDA where there is almost no fencing and multiple points of entry and no full time Police Resource Officer at any of the High Schools? So when it comes to actually proactively protecting our kids/students, with perimeter fencing, video surveillance and on campus full time Police Resource officers…Joyce refused to second the motion for the Budget to pay for real quantifiable safety and security measures. Poor leadership at #SDUHSD. It’s time for change. Why would a school district hire unethical law firm, STUTZ ARTIANO SHINOFF & HOLTZ, to represent them? Is this pure incompetence or intentional? In 2016 when the district had $6,500,000 surplus, they gave 12.5% raise to all teachers to exhaust the money. what would a good sensible leadership do? It would give 1-time bonus instead of 12.5% raise. Those who voted for that raise in 2016 should all resign! You now put our district in financial risk. Beth H. and Joyce Dellasandro you must resign!!!! You both are stale and do not care about the students or the school. At this point, the comments from some parents/adults in the community have become downright depressing. I’m sick of the inane amount of false outrage, fear-mongering, and scapegoating that has been circulating, specifically in regards to the recall of Joyce Dalessandro. The recall DOES NOT represent the views, values, or moral standards of the majority of this community. As someone with Reason, I agree that there are serious problems within the SDUHSD board. However the tactics employed by the recall effort are shameful and should not be regarded as truthful. Not only are there vested interests (coast news says I can’t name names…), but the recall effort’s main goal seems to be to obfuscate the truth (and use a surprising amount of ad ignorantiam and ad hominem fallacies lol). 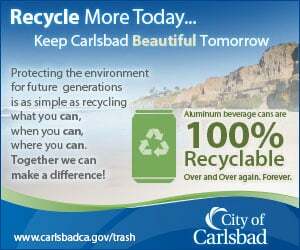 Please do not take what the recall effort has to say at face value. Research and inform yourself of the facts. They are just screaming the loudest-again, they do not represent the majority. And finally, do you know why it has taken an insane amount of time to fulfill your public records requests? Because members of the recall effort have overloaded public servants by making their search criterion so excessively large, that (literally) millions of records have to be looked through, sensitive information redacted, and organized just to appease these members who tirelessly seek after their (nonexistent) needle in a haystack. Quite honestly, in the quest for trying to find records of misconduct and waste of public funds by Dalessandro, the recall has effectively drained more resources, funds, and time than Dalessandro ever could. John Salazar has so much to say about what is wrong with the District, and is so concerned about budget & deficit that he would have been the lone NO vote… had it mattered enough to him to bother to show up for the meeting or arrange an electronic presence! Me thinks the Board Member protests too much! Too-long- on-the-job Salazar, it’s time to go. Withdraw your papers to run again. Spare us. And take your complaining, devisive, uninformed sidekick Muir with you.